Q. I was carrying my WD MyPassport 1TB hard drive from one room to the other and it slipped out of my hands and fell to the floor. I plugged it in and the drive just buzzes. What can I do? One of the most damaging things that can happen to a hard drive is dropping it. In fact, out of all the recoveries we receive, the ones that end up being unrecoverable the most are the ones that were dropped. Now, let me back up a bit and just confirm that, we CAN and DO recover data from hard drives that have been dropped on a daily basis. Hard drives are intricate and can become damaged easily when dropped. What I mean by some of them not being recoverable is just based on a number of different variables that can come into play. An inexperienced data recovery technician removes multiple platters and loses their original alignment. The first thing you should do if your hard drive gets dropped is NOTHING. What we mean by that is, do not power the drive up at all. The reasons for this are two fold. If the heads have become dislodged from their parking area and have landed on the platter surface, there’s a very good chance they will seize to the platter. In most cases a drive will not be able to spin up when this occurs. However, there is a possibility that it will break free of the heads, shearing them off and score the platter surface severely when that happens. Another reason to avoid powering up the drive is due to the fact that the heads may already be damaged, and they can sometimes be in a state that would appear severely mangled. This means that when the drive powers up and the heads go to seek, they will come in contact with the platter and the chance of doing severe damage to the platter surface is extremely high. We are often asked by customers who have experienced this problem if there’s any brand hard drive we recommend. The truth is, this isn’t a Western Digital hard drive problem. You would be facing this issue with any brand drive if it was dropped. 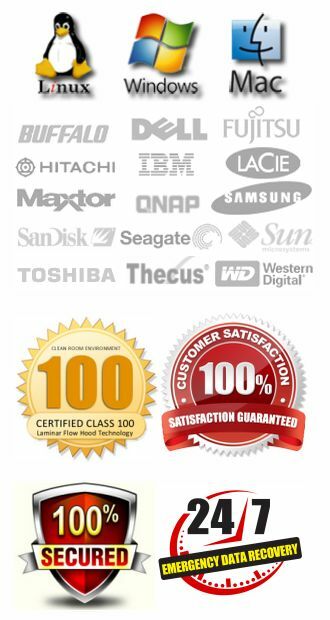 Your best course of action is to consult a real data recovery company. Even if you don’t choose us, there are other reputable companies out there. 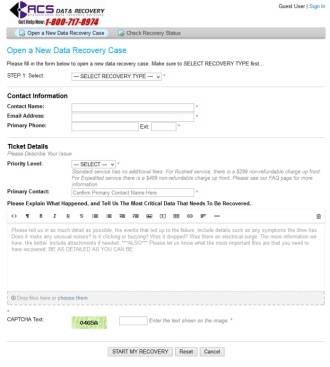 Why would one data recovery company recommend other companies? Well, we obviously want your business, but if you decide not to use us, you should at least use a company that has a real chance of helping you. If your data is valuable, you want a company that can help you get your data back safely and effectively. You need a professional.